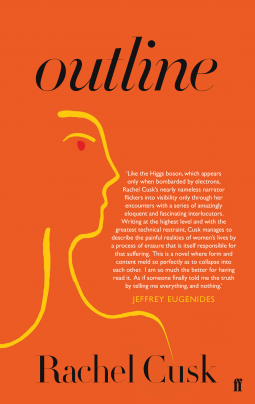 Outline by Rachel Cusk is a strange book, without a narrative spine. So, not a novel as such, more a collection of incidents which happen to an unnamed woman writer visiting Athens to teach creative writing. We learn more about the people she interacts with, than about her. People rarely ask her questions and her internal monologue is sparse. There is no cause and effect, no tension, nothing to make me curious. This book was shortlisted for two prices, the Folio Prize, and the 2015 Bailey’s Women’s Prize for Fiction. The writing is beautiful, by which I mean the expression, the ideas explored and use of language, but it left me untouched, without strong feelings of like or dislike. Central to this feeling, I think, is that we do not know the narrator’s name.